Chance The Rapper has called out a recent Heineken Light advert for being “horribly racist”. The advert, thought to have aired in the United States, shows a bartender sliding a bottle of alcohol all the way down the bar to a white woman he spotted at the start of the advert. 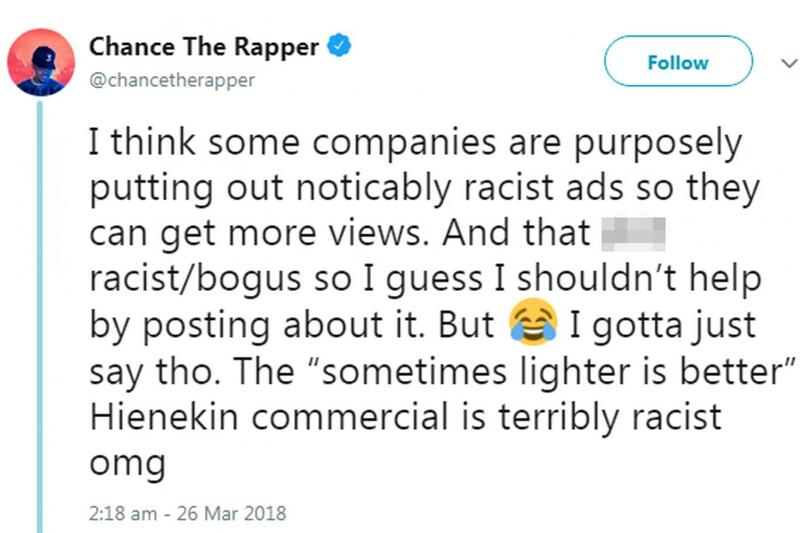 The drink makes its way past black men and women before reaching its destination and the strap line “sometimes, lighter is better” being displayed.